Hello Wednesday! 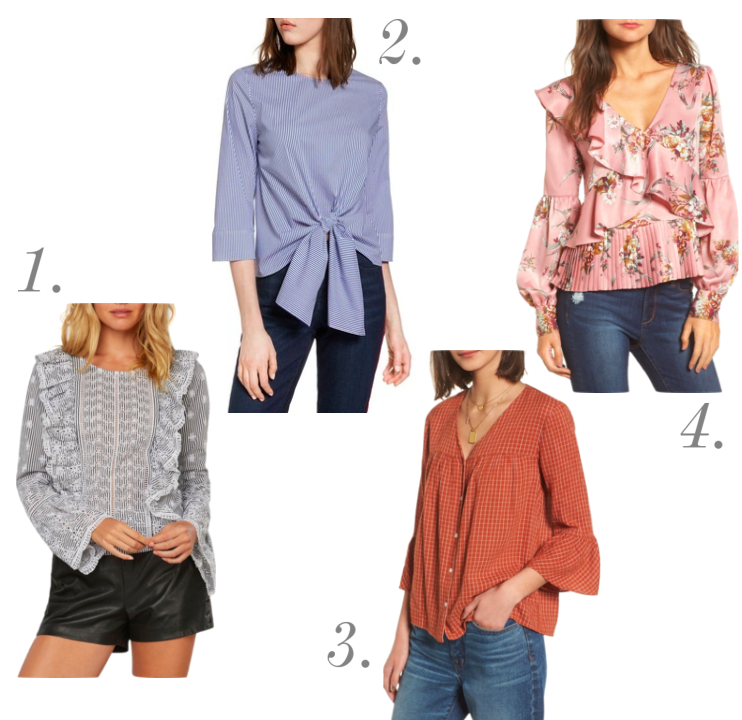 This week is flying by and as I'm excitedly waiting for spring, there are some closet staples I've been adding to my collection of late. 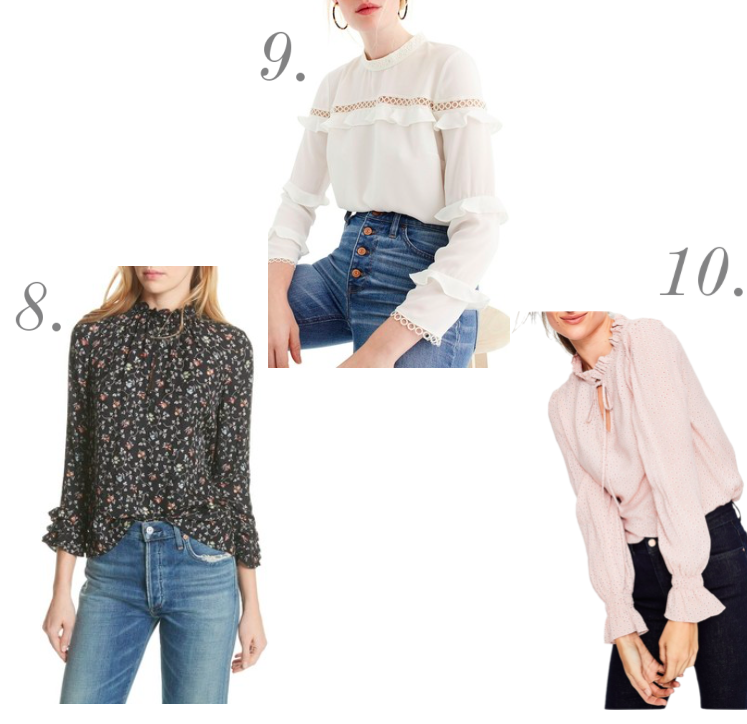 Specifically, the spring blouse. 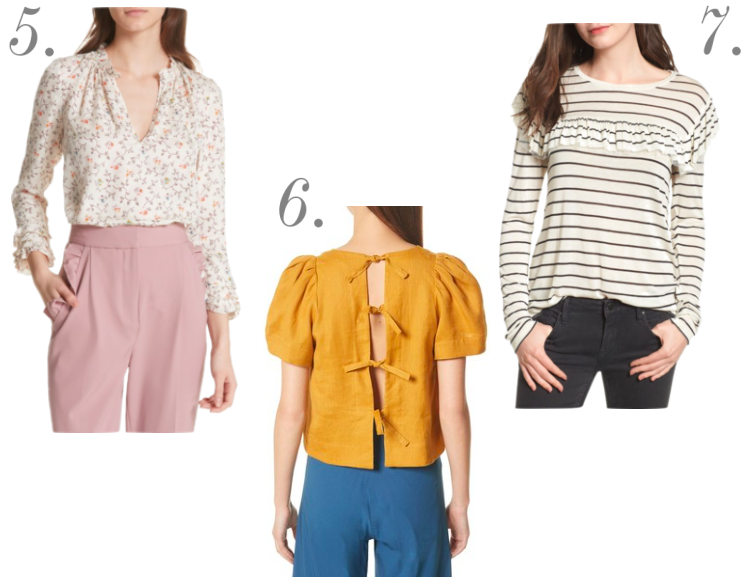 I've always loved warm weather tops and this season is definitely impressing me. Soft colors, fresh florals and feminine details are all holding court and I love each and every one. This one from Boden (you can also get it online at Nordstrom's) is so delicate and sweet. I'd love it with skinny denim capris, flats and a classic trench in early spring and later paired with scalloped shorts and a fun straw bag. This one is a tomboy gone girlie option and a steal (at under $40!). Tie front details are very right now, showing up in tons of fabrics, styles and great colors. Finally, the devil is always in the details and this top proves that to be so. It's darling and parable with so many great options. With mileage like that, it is definitely worth the splurge. Just in case one, two or a few of these have caught your eye, I've linked them all in the thumbnails below. Now for the hard part...which ones to choose!